A Franco-Tamil heritage in Pondicherry. Maison Perumal is a period bungalow that we had the privilege to turn into a distinguished boutique hotel. 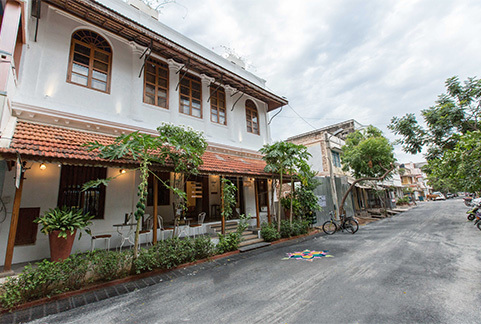 Located in the Tamil quarter of Pondicherry, this 18th-century house exudes a legacy that reflects the French colonial aura of this small seaside town, known for its alluring history, spiritual culture, imaginative crafts, trendy shopping and gourmet food. Pondicherry is a city with rare mix of French and Tamil cultures. It's common to see families with mix of French and Tamil parents with Franco Tamil children. Many Pondicherry Tamilians hold a French passport and have served in the French navy. 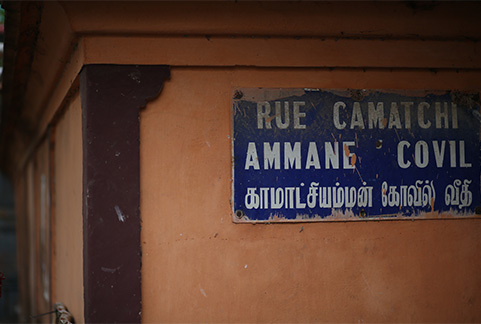 The French game Pétanque is popular in Pondicherry and it is amusing to see an Indian city with road names written in French. 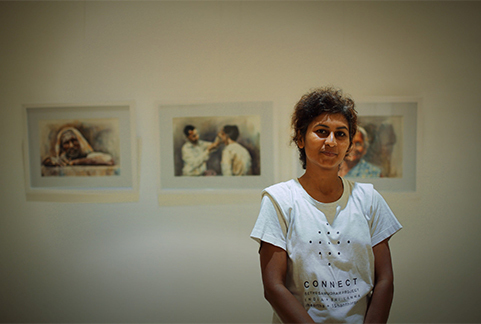 The walls are a rotated gallery space with a selection of canvases that showcase the paintings of local artists. It is part of our initiative to promote local art. The ‘less-is-more’ philosophy gets reflected in Maison Perumal's minimalistic interiors that are adorned with a spare style, yet pay much attention to detail. The materials are typically local with cool Cuduppah stone on the floor and teak furniture that echo the richness of the period.